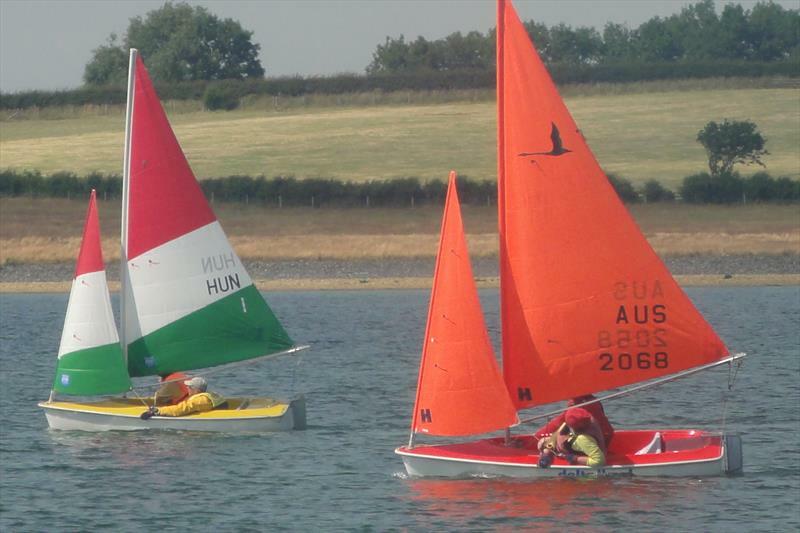 The morning of the last day of the 2015 European Championships saw Rutland Sailing Club buzzing with excitement as the race teams prepared their boats and sorted out the tactics they needed to achieve their aims, some to hold or gain a podium position, others for personal bests or catching up from earlier disappointments. 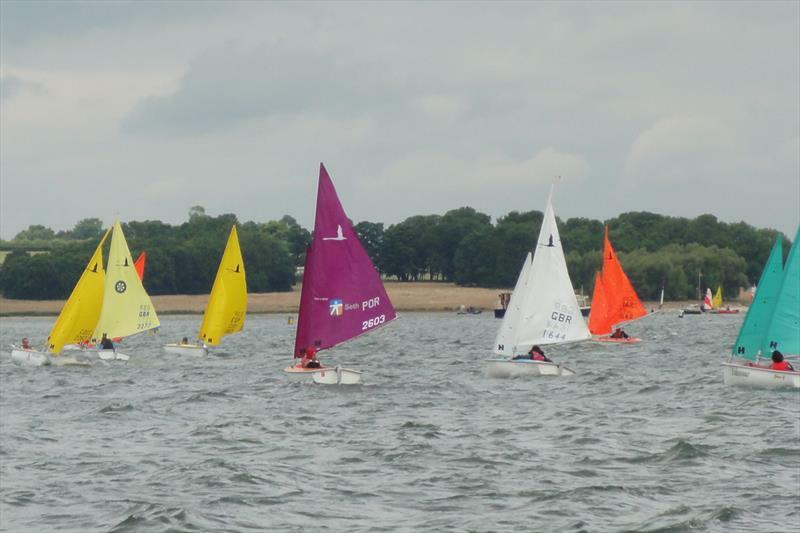 There was still much to be settled in all classes and very close competition throughout all fleets. The sailing conditions were near perfect with steady winds around force 3 to 4 and warm bright sunshine. Each class would sail two races back to back. 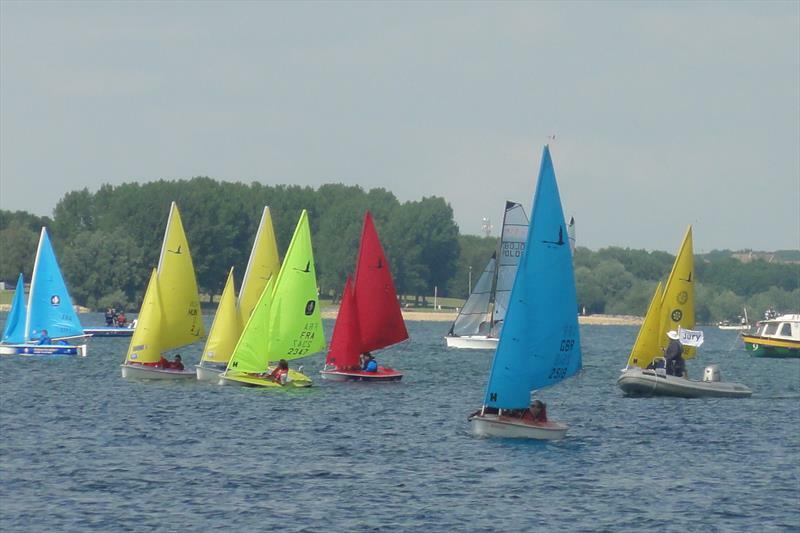 The first to settle their championship were the Hansa 303 two person class and the SKUD 18s. In the 303 two person class, despite two poor results Reis Pedro and Andr Bento (POR) held their third overall by just one point from 4th place duo Michael and Tish Leydon (AUS). Joao Pinto and Guilherme Ribeiro (POR) held second and pairing of Zoltan Pegan and Eva Mircsev (POL), with a first and a second place on the day clinched the championship. The race team led by PRO David Wilkins and RO John Fothergill had a full yet straightforward day in contrast to the tricky conditions they experienced in the light airs on race day two and the heavy conditions of race day one, all of which they managed expertly throughout. The SKUD 18 class had been dominated by the magnificent sailing of Monika Gibes and Piotr Cichocki (POL).Their full run of wins had already made them uncatchable and they sealed their championship win with yet two more wins. There were still many positions to be decided throughout the fleet. A close battle had existed for the other two podium positions between Sergio Roig and Violeta Del Reino (ESP) and our leading (GBR) sailors Allan Smith and Craig Nairn. The Spaniards took second place in the days first race and the brits took 2nd against the Spaniards 5th in the last race but in the final analysis their 5th was discarded which left them taking 2nd place overall from the Brits by one point. 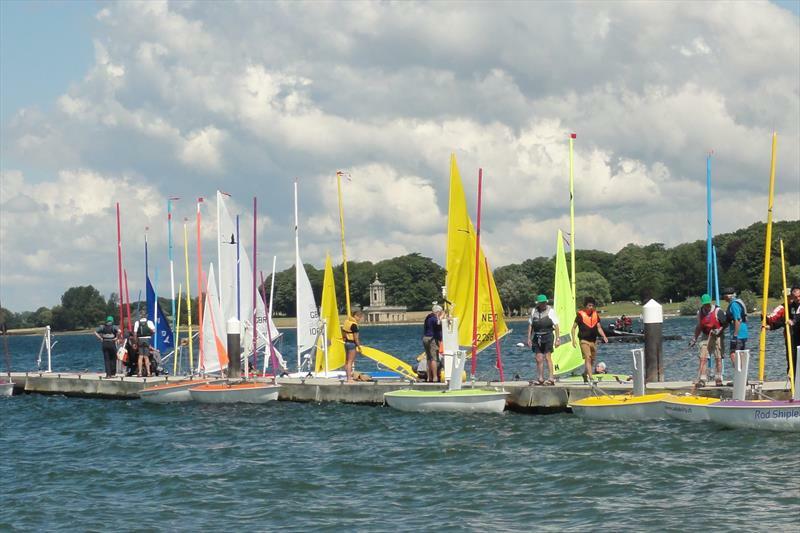 Many of the 303 boats and crews sailing in the doubles needed to be turned round quickly for the 303 one person class races which followed. This involved much hoisting of sailors and very efficient pontoon management. The shore team led by Ray Johnson and made up of Rutland Sailability volunteers carried this out magnificently, as had been usual throughout the event. 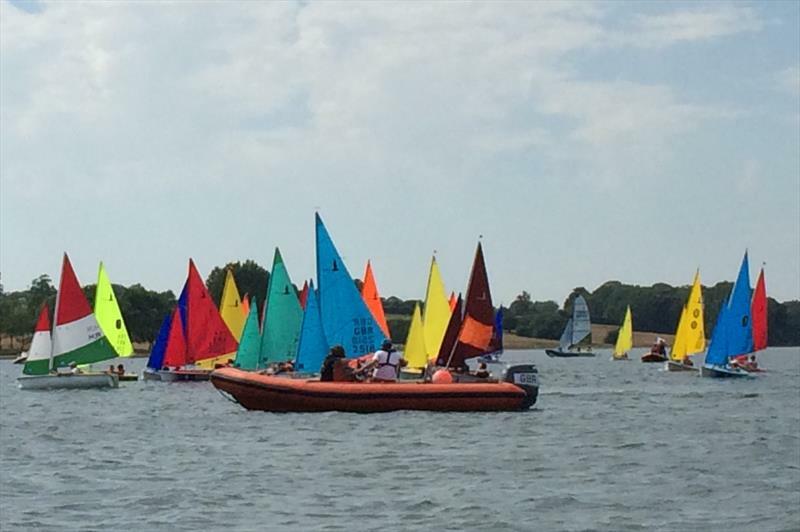 The final two classes to race were the 303 one person class and the Liberty. In the 303 one person class the magnificent sailing of Michael Leydon (AUS) throughout the event, with his 4 wins and a 3rd had already given him an unassailable lead, his 1st place in the first race of the day sealed his championship win. Patrick Ruf (ESP) strongly held second place at the start of the day and with a great win in the last race he kept that position. In the battle for the last podium position between Joao Pinto (POR) and Zoltan Pegan (POL), Zoltan’s 2nd and 6th place on the day was better than Joao’s 3rd and 12th but Joao’s was able to discard his 12th and he took third place overall by two points. 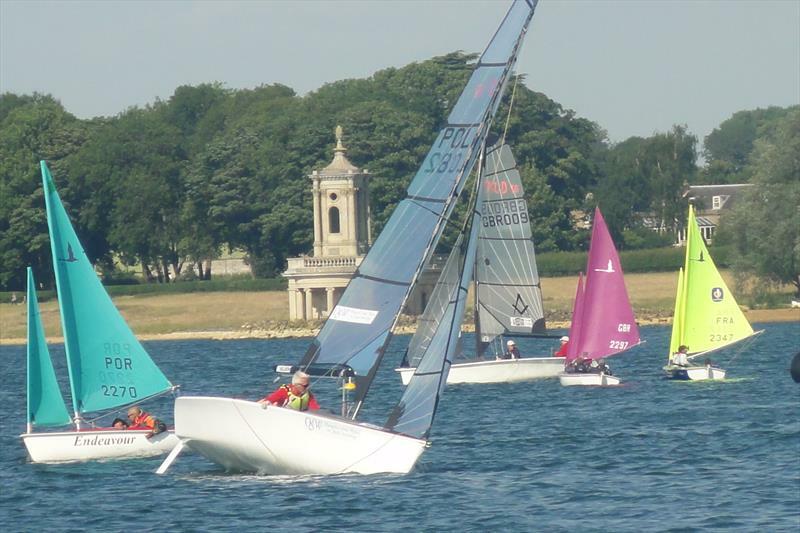 The safety boats, which were provided for us, fully crewed, by the RAF Sailing Association and were led by cox and event safety officer Neil Wilkinson, had a busy but relatively eventless day in the ideal sailing conditions. 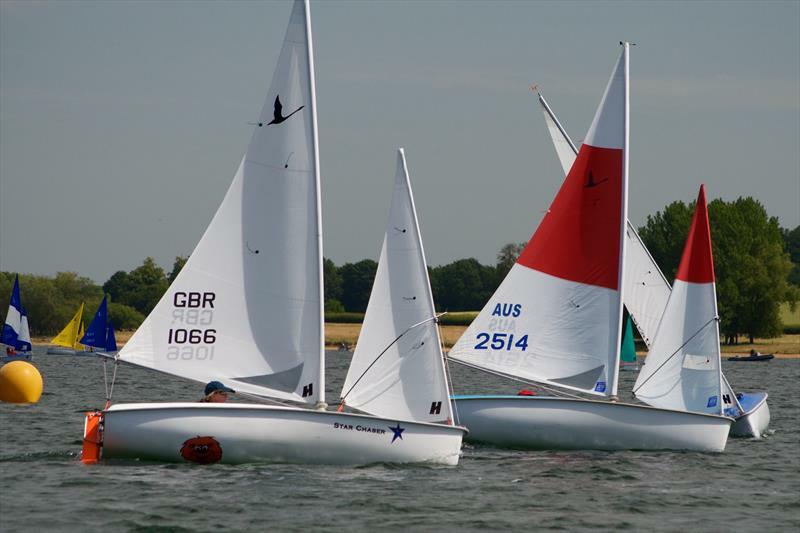 This was in stark contrast to the practice race and the first days racing when heavy conditions and abandoned races kept them extremely busy supporting sailors who were having difficulty with the strong winds or with gear failure. The Liberty fleet had provided very close racing on all of our previous race days with positions of the lead sailors frequently changing. Monique Foster (GBR) handled the heavy weather of day one with great skill to take two wins. Race 3 and 4 were taken by Paul Philips (GBR) with some great sailing and a tactical error from Monique dropped her to 3rd and let Dave Durston (GBR) into second place. In the last race of the event Dave sailed a great tactical race to get 2nd place and secure 2nd place overall. Monique held onto third. So Paul Philips (GBR) with a magnificent run of four wins took the championship win giving team GBR a clean sweep in this class. The Servo Liberty sailors, who also compete in the combined Liberty fleet, had an equally close battle. The excellent consistent sailing of Sefke Holtrop (NED) kept his the lead throughout the event. Melvin Kinnear (GBR) (2010 World champion) got a magnificent first place in race 6, beating all the manual and Servo Liberties but it was not enough to catch Sefke and left him in second place overall. Hanneke Deenen (NED) with consistent sailing and a great 4th place in Race 6 took 3rd overall. Therefore with a magnificent run of four wins Sefke Holtrop (NED) took the championship. At the prize-giving and closing ceremony, on the sunny veranda overlooking the lake with all the ten countries flags streaming in the evening breeze there were great celebrations. Event Chair and Race Office Leader throughout the event, Pauline Harrison introduced our event sponsors who gave hearty congratulations to all the sailors and their teams. Many thanks were given including the Jury of Ives Leglise, Walter Mielke, Caren Wilkins and Nadina Lincoln; the great support given to the race office and social events team by Trish McNair and Chris Mynard and by Adviser Ian Harrison; Equipment Inspector and Measurer John Figgures; the catering team that had served us so well throughout the event and many others mentioned above in this report. Marcus Frith, Chair of the UK Hansa Class Association, thanked Pauline and Ian Harrison for their excellent management, leadership and advice throughout the planning and delivery of this outstanding event. 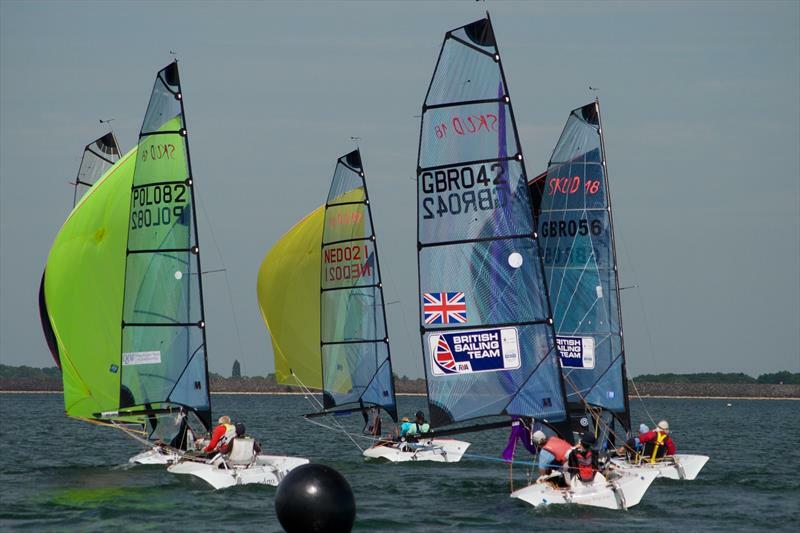 He also thanked the whole Rutland Team, the sailors and their support teams and invited them to our UK National Championships at the PWNSA Weymouth on the 14th to 16th August 2015. 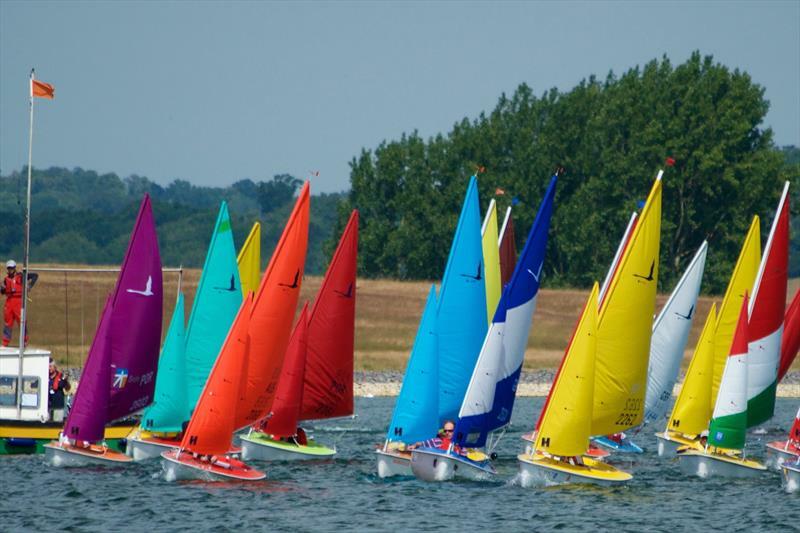 Akko van der Veen, Dutch Hansa Class Association introduced the next major international Hansa event – the Combined Hansa Worlds, June 2016 at the International Sailing Centre, Medemblik. The prizes were awarded with rousing applause and received with great camaraderie and fun. The event was then closed by Penny Wake on behalf of our principle sponsors The Bruce Wake Trust, and all then enjoyed a sumptuous and joyous Championship Dinner. Next Welcome to the new Hansa Class Website!